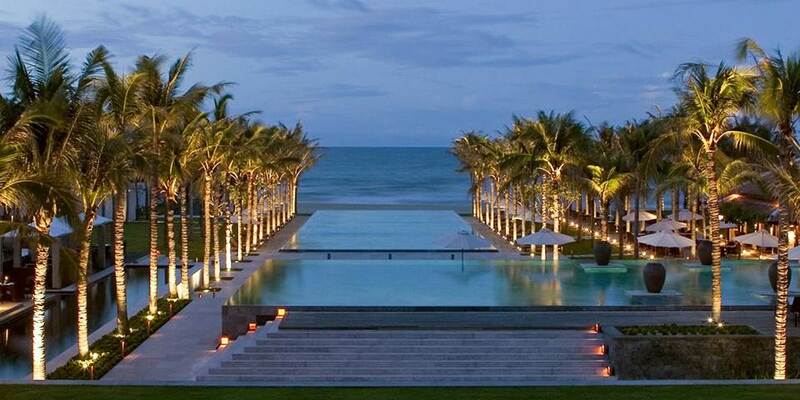 Located 25 minutes from Danang and just 15 minutes from Hoi An and situated on a stretch of beautiful white sandy beach, The Nam Hai is a strand of sophisticated visually striking villas which line the dramatic beachfront, with the South China Sea and Cham Islands as a stunning backdrop. Open kitchen or the endless horizon? 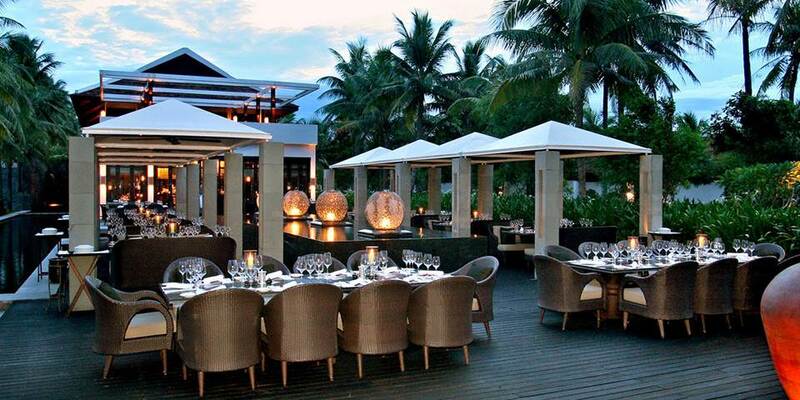 Soak up both and more sensory pleasures among The Nam Hai’s three dining venues. Cool mornings call for Eastern and Western breakfast favourites on the outdoor deck of The Restaurant. Come back in the evening for fusion fare in the sleek low lit dining room, and be sure to experience some of the best Indian cuisine anywhere. 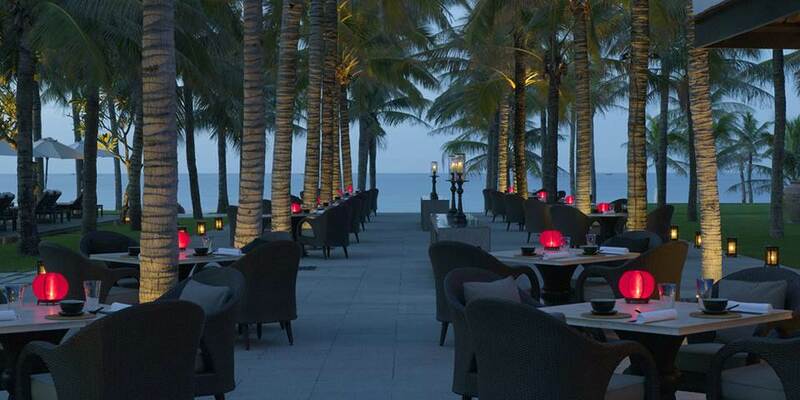 Refuel at midday with comfort foods, a chilled glass of wine and the day’s freshest catch at The Beach Restaurant, which transforms after nightfall with an extensive menu of Vietnamese delicacies. Before and after, The Bar makes a memorable impression as much for its serene setting high above the water gardens as its creative cocktails and live entertainment. The enchanting town of Hoi An, a UNESCO World Heritage Site, is just 15 minutes away. With the old town traffic free except for bicycles and cyclos it is the perfect place to wander round and soak up the atmosphere, After marvelling at century-old houses and shops, one may venture out to the outskirts and or take a short boat ride to visit the other communes mostly situated near the river – from the expansive rice paddies to villages specializing in pottery, furniture, basket weaving, rice paper making, woodworking and other industries that still thrive to this day. In the evening the narrow streets lit by the light of hundreds of lanterns are lined with restaurants serving delicious Vietnamese cuisine. 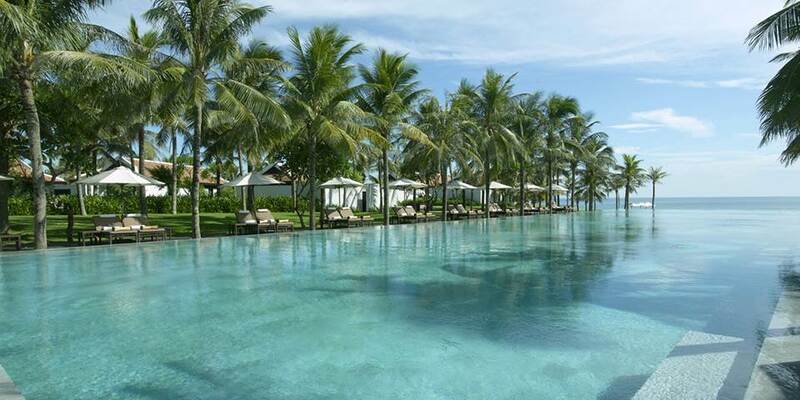 There is no need to venture far from the surrounding of The Nam Hai for both the active and those who seek relaxation. Three beautiful swimming pools with views to the ocean, a fitness centre complete with the latest equipment, badminton and tennis courts are all on site for the energetic, while The Montgomerie Links is close by for those who want a round of golf. For those seeking more relaxation, yoga sessions overlooking the South China Sea are available each morning. 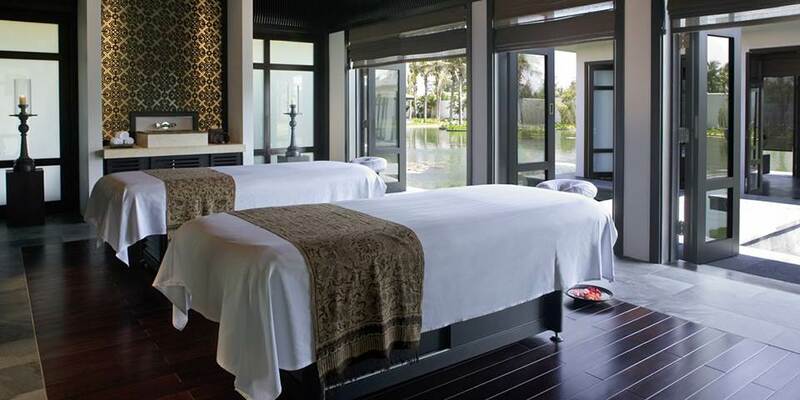 Possibly the ultimate relaxation experience must be The Spa, where eight treatment pavilions appear to float like the surrounding lotus flowers over the serene lagoon. 60 one-bedroom villas and 40 pool villas spread over 35 hectares of tropical gardens and along the pristine shoreline of Ha My Beach. Sought after contemporary Vietnamese artwork hangs in high ceilinged living spaces, among delicate, hand spun silks and polished local woods. 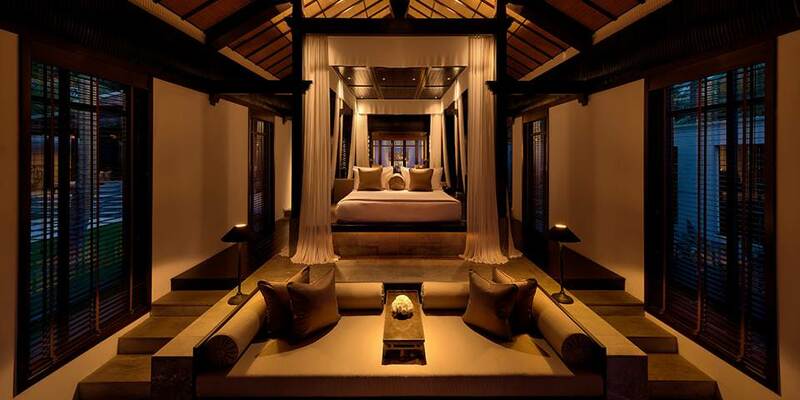 In all our villas, each bedroom pavilion centres around an elevated platform inspired by traditional Vietnamese garden houses encompasses the king-sized bed, a sunken writing desk, padded divan and our unique lacquered eggshell bath. In each, the lavish bathroom opens out onto a private tropical garden with an outdoor rain shower. Pool villas add a private courtyard entrance leading to the temperature controlled swimming pool that makes plunging possible any time of year, and beyond that a separate fully equipped kitchen and your butler’s quarters. 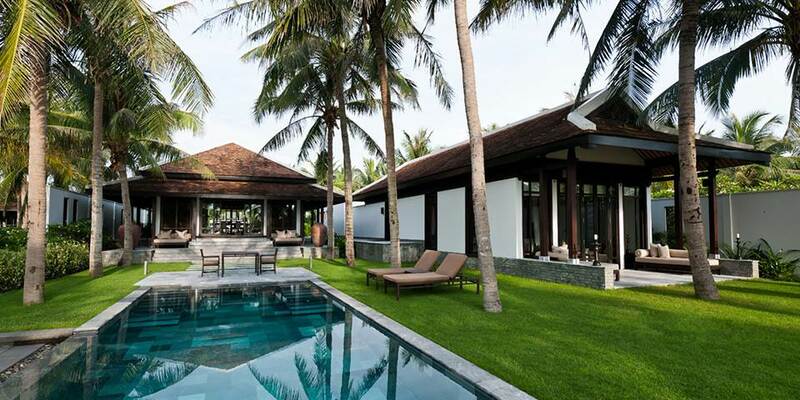 With a selection of beautiful villas ranging from one bedroom to five bedrooms there is accommodation to suit everyone.